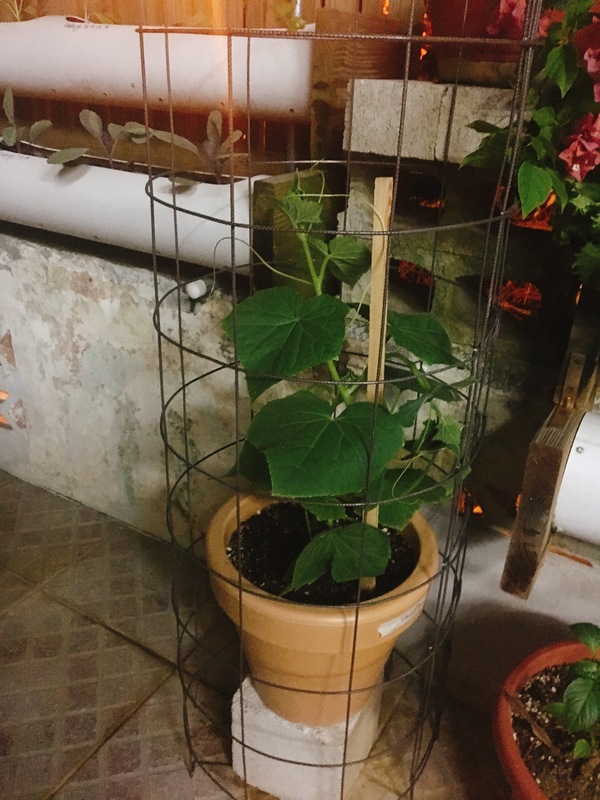 Adventures in Gardening: making cages for our winter Squash. Before you being growing always check how your plants grow. This is a lesson we learnt this week. 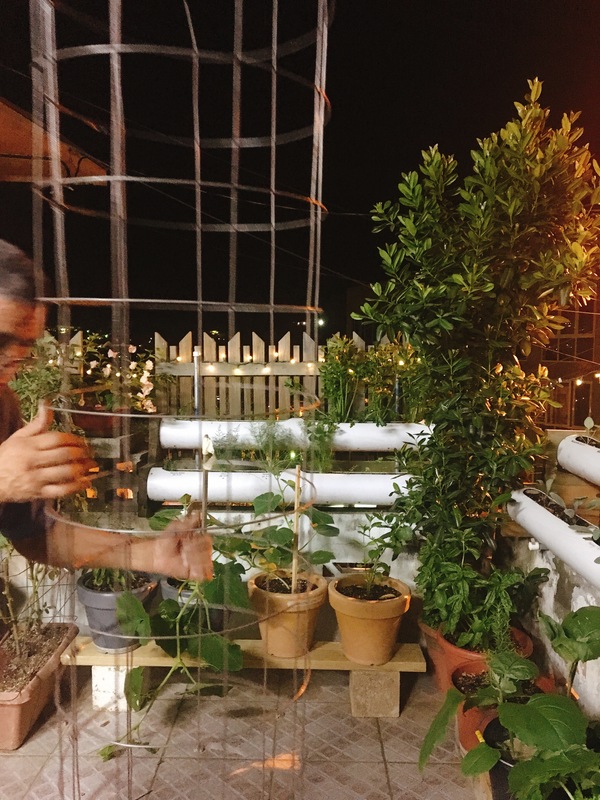 About a month ago we bought seeds and began planting. But one of the things we didn’t check was how the plants would grow as they mature. Among the things we plant we was winter Squash. Only to realize that they need to grow flat on the ground. 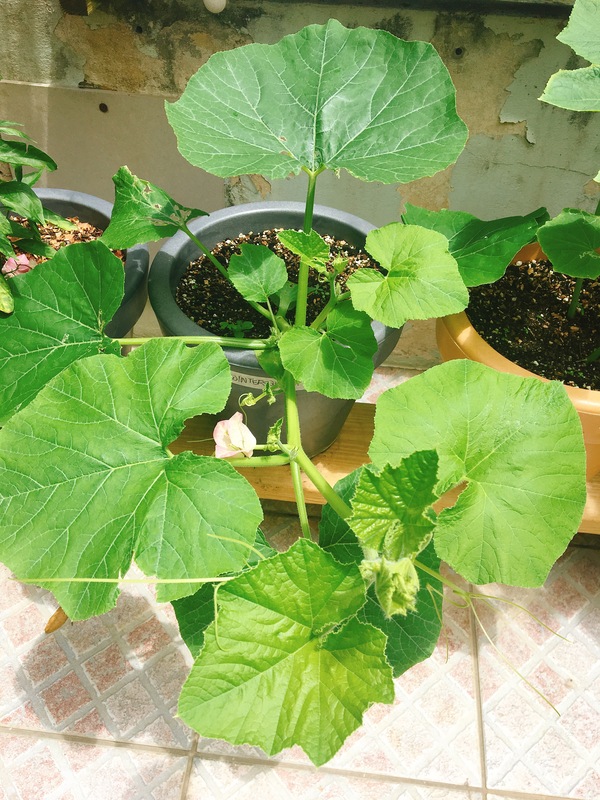 Needless to say we had a good laugh as we saw our Squash hanging over the pot that we so proudly planted it in. So what are we going to do? We realized that there may be a way to train them to grow vertical. 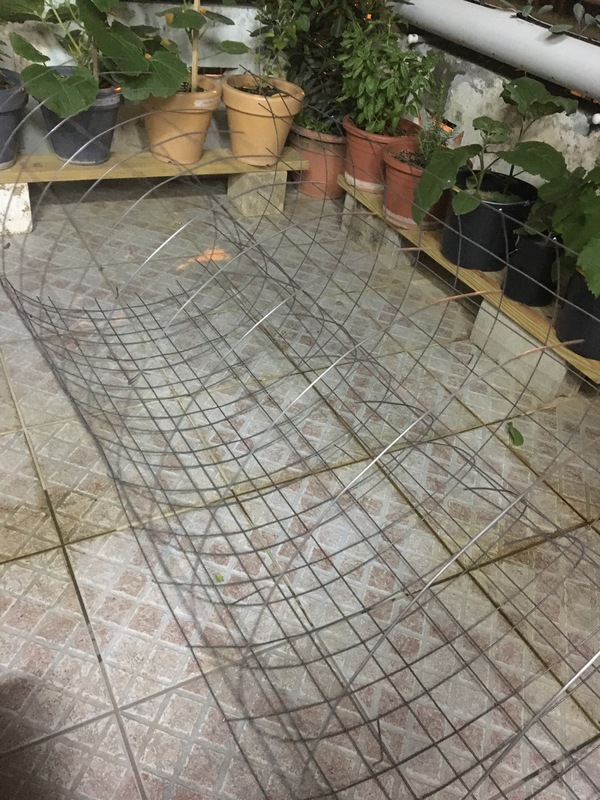 So tonight’s adventure is making cages for the winter Squash, so that they can attach to the wire and grow up. Not sure how it will turn out, but we’ll see in a couple of months. Stay tuned for the adventure!